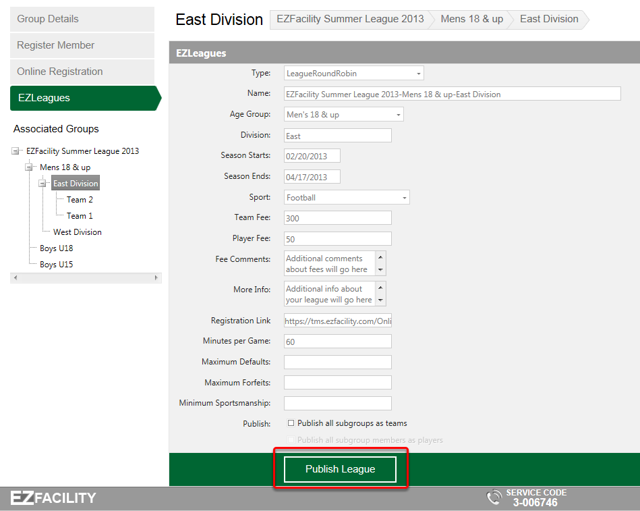 Note: If you have multiple subgroups under your parent group you will need to navigate to the subgroup being published to EZLeagues. 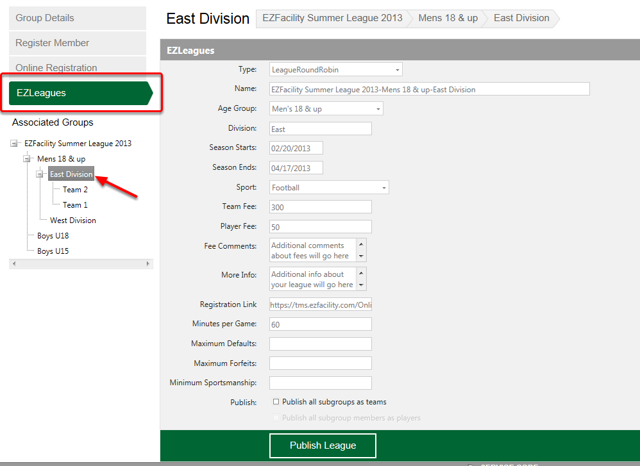 You can use the Associated Groups navigation tree to click on the subgroup being published. Note: Once you have published this to EZLeagues as a League Round Robin you cannot change to a tournament and vice versa.